Bee Playing Cards are a casino card brand. They were first manufactured by Consolidated-Dougherty in 1892, hence the number "92" on the Ace of Spades (the standard poker deck is now known as deck type 92); the USPC acquired the company soon after. 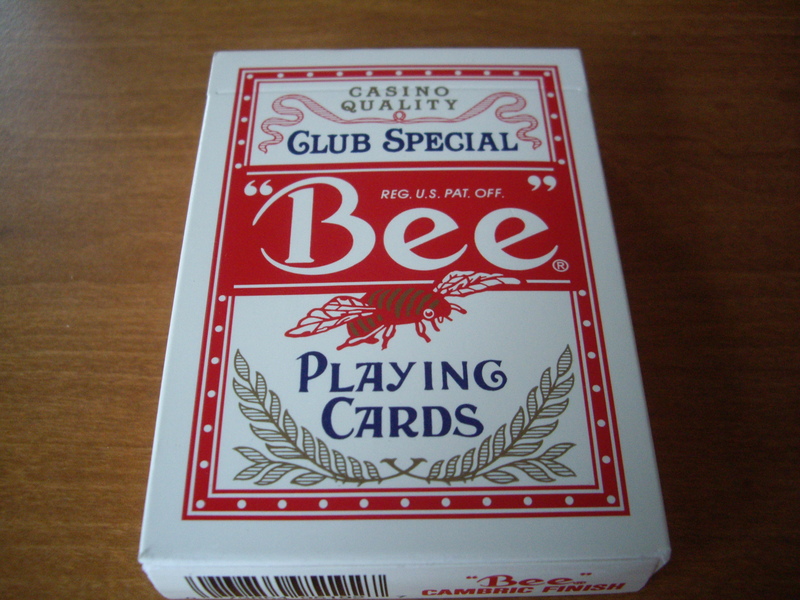 Standard Bee playing cards have a diamond back, typically blue or red, though casinos frequently use customized Bee cards featuring a logo added to the backs. Unlike Bicycle cards, Bee cards usually have borderless backs, making the facing of any card that is even partially revealed clearly visible. However, the standard diamond back of the card is very regular and low-profile compared to other back designs, which simplifies "bottom-dealing" and other forms of sleight-of-hand. 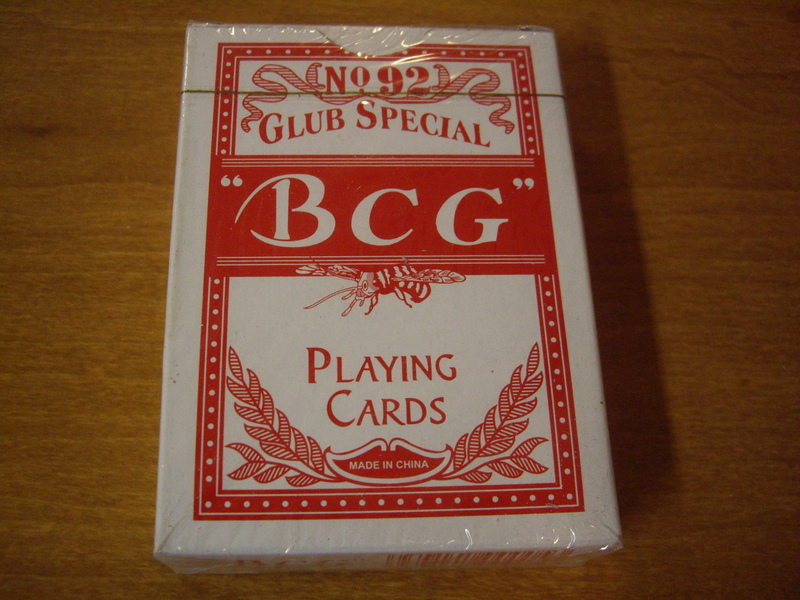 Bee Playing Cards are comparable to Bicycle Playing Cards, which are not as frequently used in casinos. However, Bee Playing Cards are often found in Hong Kong movies. 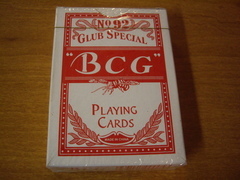 Source: Wikipedia contributors, "United States Playing Card Company," Wikipedia, The Free Encyclopedia, http://en.wikipedia.org/w/index.php?title=United_States_Playing_Card_Company&oldid=417712447 (accessed March 8, 2011). See this article for more information on counterfeit Bee's.